Google’s Street View project took an unusual left turn this week after one of it's familiar camera mounted cars took to the streets of Namie – a town in Japan’s Fukushima Prefecture deserted nearly two years ago after the worst nuclear disaster since Chernobyl. 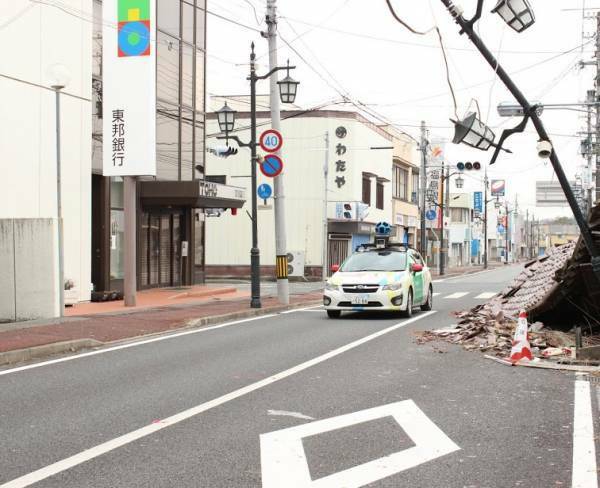 A Google spokesperson confirmed to The Reg that the unusual project to photograph the town’s streets was undertaken at the behest of its mayor, Tamotsu Baba. "We hope that publishing panoramic imagery of Namie-machi will allow people to view the current state of the town in order to learn about what happened there,” Google said in a statement. “We also hope this will keep alive memories of the disaster for the future generations." The cars will only work during the week with the project expected to be completed within a fortnight “weather permitting”. Namie’s 20,000 residents were displaced after an explosion at the nearby Fukushima Dai Ichi nuclear reactor following the devastating Sendai earthquake and subsequent tsunami which wracked north-east Honshu in March 2011. Reports suggest it could be over a decade before they’re allowed back into the town permanently, although at least that’ll mean Street View avoiding the kind of privacy issues this time around that have plagued it in the past. As this picture shows, the streets of Namie remain pretty much as they were in the aftermath of the magnitude 9.0 earthquake – the collapsed roofs, broken street lights and shuttered businesses a poignant reminder of the destructive power of nature, and man. Google has been getting some good publicity in Japan this week, after it also announced the extension of its public alert system to the country.